Get a taste of what’s on offer when you register with Media Club South Africa, with our weekly photo essay featuring the best photography from the site’s free image library. The image library is a free public service provided by Brand South Africa – there’s no catch. To view the library, and download photos in high resolution, all you need to do is register with the site. Registration is quick and easy, and gives you immediate access to the photos. But remember you can only republish images if you credit Media Club South Africa, including a hyperlink to the site if they’re published on the web. If you don’t credit the site you are liable for financial damages as set out in the image library terms and conditions of use. Here are our top 10 photos of the week, and where they can be found in the library. 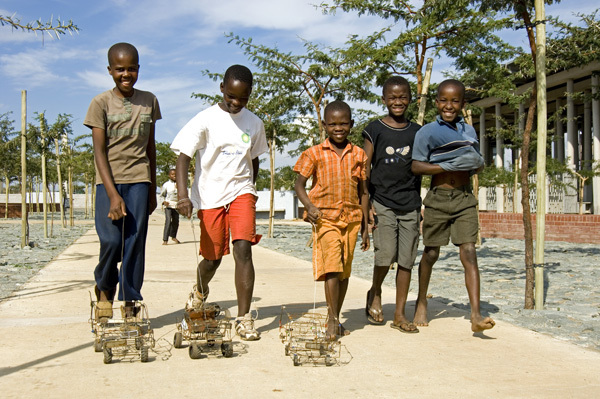 ABOVE: Boys play with homemade wire toy cars in Freedom Square in the Soweto suburb of Kliptown, in Johannesburg, Gauteng province. The oldest area in the township, Kliptown was the site of the Congress of the People, a 1955 gathering of diverse anti-apartheid movements that together adopted the Freedom Charter. Freedom Square is a new development commemorating the event. ABOVE: A community anti-abuse and HIV-awareness mural near the Chris Hani Baragwanath Hospital in Soweto, Johannesburg, Gauteng province. Find this photo at Arts & Culture 1. 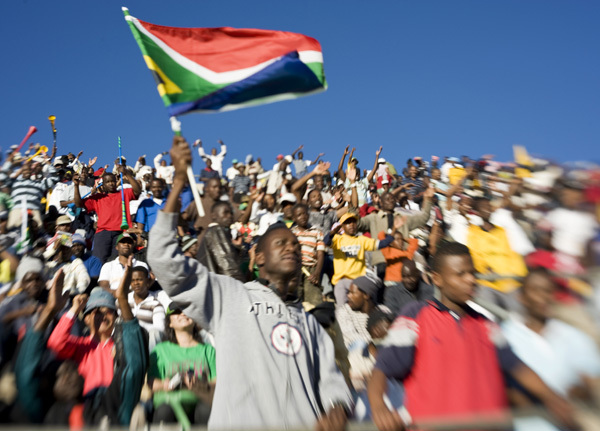 ABOVE: Crowds of fans at a match between Bafana Bafana, South Africa’s national football squad, and Equatorial Guinea at Supersport Stadium. Find this photo at Fifa World Cup 3. 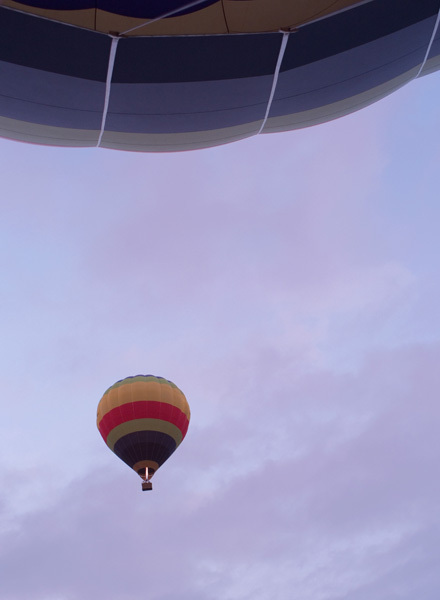 LEFT: An Otter Trail hot air balloon takes tourists to the skies near Hoedspruit in Limpopo province. Find this photo at Tourism & Leisure 14. 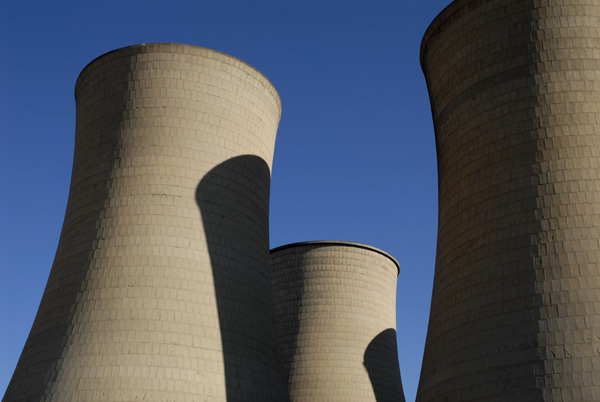 ABOVE: Massive cooling towers mark the city skyline of Bloemfontein, Free State province. Find this photo at Infrastructure 10. 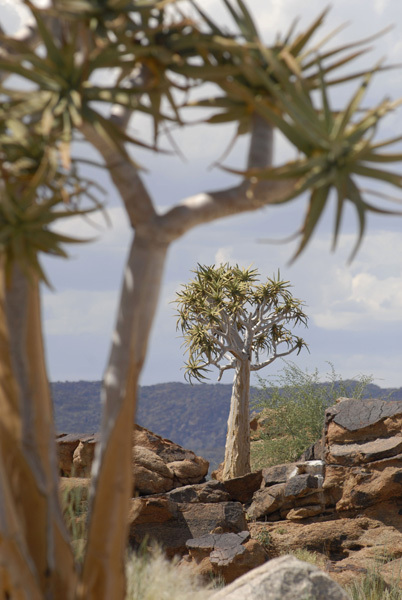 LEFT: Quiver trees, which the San Bushmen used to make quivers for their arrows, in the Northern Cape province. Find this photo at Nature 3. 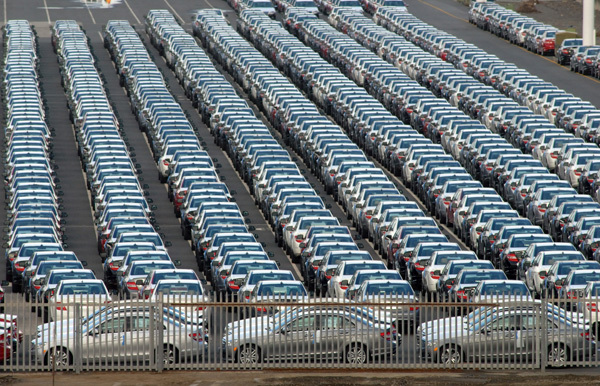 ABOVE: New Mercedes Benz cars await export on the docks of the East London harbour, below the factory, in the Eastern Cape province. Find this photo at Business & Industry 12. 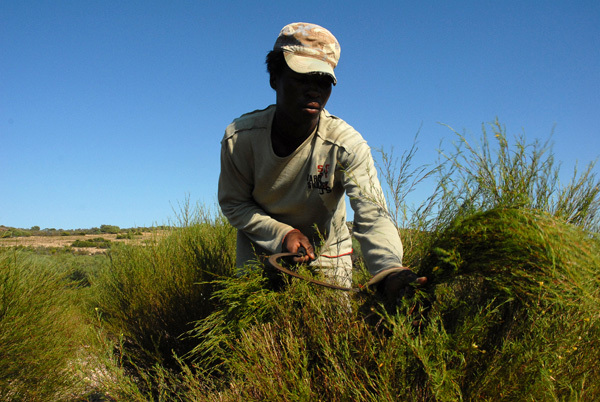 ABOVE: Indigenous South African rooibos tea is harvested in the fields, then crushed and separated, laid out to dry and packaged at Groenkol Rooibos Farm in the Clanwilliam district of the Western Cape. Find this photo at Countryside 10. ABOVE: The Cape Town city bowl at night, with Signal Hill to the left, Western Cape province. Find this photo at Cities 4. ABOVE: The expansion project to rework B-material waste dumps at the massive Sishen open-cast iron-ore mine in the Northern Cape province. 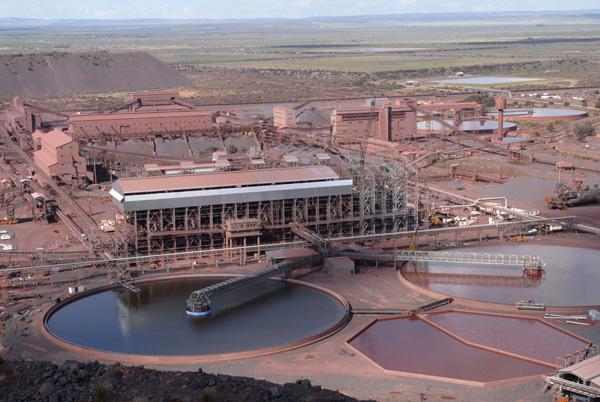 Sishen is one of the five largest iron-ore mines in the world and the largest in Africa. The reddish material coating everything is oxidised iron-ore particles, or rust. Find this photo at Business & Industry 21. To download these and some 2 000 other free high-resolution photos, register with Media Club South Africa. And don’t forget to read the image library terms and conditions of use. For more information, email us at info@mediaclubsouthafrica.com.